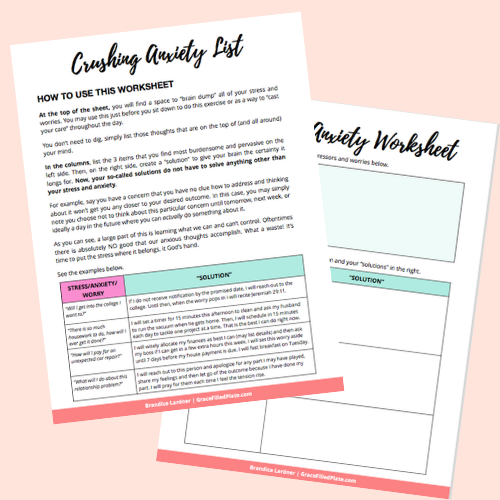 Download your FREE Crushing Anxiety List Worksheet! Start crushing your worries today with this simple worksheet. Print out 5 for daily use and see what a difference purposefully attacking your anxiety makes!